While this is not the announcement most of you are waiting patiently for, it’s good news all the same. 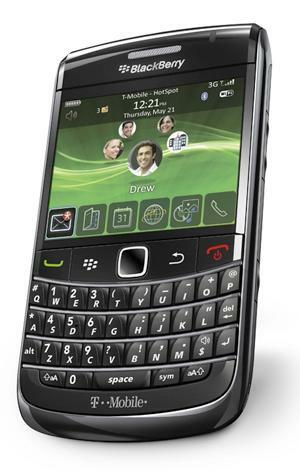 T-Mobile, along with AT&T, will formally announce the Blackberry Bold 2 (9700) on October 21st. Despite the fact that the announcement date most likely will not coincide with a release date, we doubt you’ll be waiting long. We’re still calling for a November 4th/11th launch of this, T-Mobile’s first 3G Blackberry. As long as we get it soon we won’t be complaining. Or at least I won’t. Is This Worth Leaving My Sidekick Foooor.?!?!?!?!? Duhh anything is worth leaving a sidekick for…that phone is for lil kids glad i left mine back in 07. I can’t wait for this phone to be released..im sooo selling my 8900 for it! yes..leave your sidekick! blackberry is the best! October 21st can’t come soon enough! I am soooo getting this phone! @abercrombiedude. Just like driving a model-t compared to rolls-royce. U decide. @Galen20k. Me also want. Me get asap. 8900 goin on ebay. I can go back to my old 8320 for a while. aaaahhhhhh HURRY UP! This is the ONLY phone on my mind. Full upgrade, you know what I want! My 8900 is on ebay as we speak because of this bad boy. mhmmmmm definitely getting this gorgeous device! All i have to say is that i have a sidekick and tmobile was really cool to give me 100% starter discount so i can switch to this blackberry bold 2 thats only 200 i think and i can just sell my recently replaced sidekick lx.. the only problem i had with sidekick was the data crash.. but the customer service was supurb over the counter and over the phone, it’s nice to know they’ll be lowering my bill and giving me 100 credit additional to the discount.. and plus the service representative, tammy, will be calling me as soon as the new phone comes out so i can order it :D im pretty excited it’s like a nice birthday gift. haha well i hope people know ALL sidekick users will be eligible for this.. okay adios.